Today, in a world that is changing more rapidly than ever, knowledge becomes the most valuable of all assets. For example, if an investor or financial advisor is able to find out useful information in good time, they can make worthwhile investments. With leaders of WealthTech companies, we discussed the API landscape and the APIs provided by their companies. Below, are some of their ideas and insights. Banks can increase their assets under management by providing financial infrastructure to new industry players, and improve own offering due to integration with new financial services. Wealth-management technology firms can create new products thanks to the increased availability and access to financial data. Investors can enjoy a better customer experience and access to all personal financial data in one app. To be useful, open APIs should be valuable—i.e., backed by data or services that are in demand. According to Lex Sokolin, open APIs should be “a byproduct of modern software design methods, not a separate initiative that is scotch-taped to large humming engines from the 1980s.” Lex emphasized that CRM, client portals, planning apps, and data aggregation should have an easily accessible and permissioned infrastructure. According to Vigrass, the API strategy is a huge part of what they do. The company provides a full set of REST APIs that allows third parties to integrate with the platform and get the full functionality of the Folio site. This includes everything from account opening APIs to trading APIs, information on cash movement APIs, etc. To maintain a high standard of APIs, each one goes through a rigorous testing set. This allows Folio to provide clients with the current, top-quality version of the API set. Vestwell facilitates a lot of API integration. For example, the Riskalyze retirement solution was built by Vestwell and its partners. This solution is centered around a risk number based on a series of questions. The whole process is carried out with end-to-end (E2E) APIs. The company also uses APIs to design retirement plans and structure legal documents required by their record-keeping partners. According to Aaron Schumm, CEO at Vestwell, its APIs are created to work with its partners behind the scenes, and are not outwardly focused. When working with other firms, whether on the advisory side or on the end-user portal, Vestwell’s API framework allows the company to provide data to its partners and receive data augmented by its partners’ experiences. Front-end APIs that allow financial advisors to provide onboarding, execution, clearing, etc. Back-end APIs that allow financial advisors to monitor their customer activity from their own dashboard in real time. According to Robert Cortright, CEO at DriveWealth, these sets of APIs allow advisors to create a sophisticated product and not have to worry about its implementation on the back-end. All they need to think about is the customer experience. The company offers E2E APIs that allow users to provide specific functionality (e.g., goal planning, goal investing, onboarding), automate certain actions (e.g., sending alerts, pulling marketing information), or build an application on top of the Hydrogen platform. According to Mike there are about 400 endpoints on the API set, and these may be used to build five different kinds of platforms, including wealth, investing, savings, wellness, and insurance. Hydrogen has also an Ethereum-based infrastructure that allows API users to integrate blockchain into their applications and provide smart contracts and authentication in a more secure, transparent, and innovative way. Trizic has three target markets: RIAs, enterprises, and the bank marketplace. According to Steve, for Trizic it’s important to enable clients to either explore a standard user interface (as most RIAs do) or build their own user experience (as many enterprises choose to do). The company has to be flexible enough to deliver its framework and services and provide enterprises with the capability to build everything (e.g., CRM, portfolio management system, rebalancing system, etc.) themselves at the lowest total cost and effort. Steve believes that custodial integrations are the most important aspect for any wealth-management firm because they give access to data. Before considering integrations with custodians, Trizic first looks at workflow, user experience, and ease of deployment. To build a comprehensive omnichannel solution, Trizic spends a lot of time and resources on multiple integrations, including a trade order management system, financial planning system, and mobile banking platform. Steve Lewczyk considers ideal partners as those who have APIs available. Unfortunately, most custodians are still file-based. Trizic has built an open API infrastructure and publishes APIs to make them available to all of its clients and integration partners. The company also has a broad set of web services built on REST API that enable integration between MyVest’s platform components—such as model management, and rebalancing and trading—and its customers’ systems and their preferred applications (e.g., CRM, financial planning, and account aggregation). Regarding challenges that MyVest faces when integrating with other systems, Charlie underscored the following: inconsistency in data models, a lack of readily available interactive online documentation, and limited testing and sandbox environments. 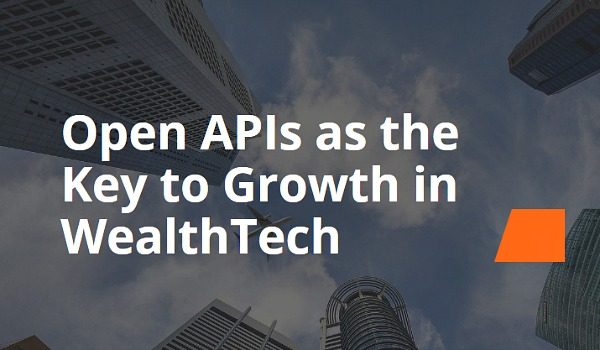 Open APIs are having a significant impact upon the entire wealth-management industry. 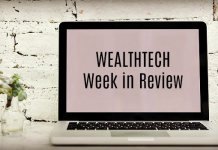 Above, we have examined several WealthTech companies in terms of the APIs they create, and the functionality and integrations they provide via API sets. Some have a specific focus (e.g., data-focused APIs), while others offer APIs that allow users to offer either the entire wealth-management process or separate services. Companies can offer integration into their platforms or integrate into third-party solutions to add value to their own platform and offer clients high-quality services. Vasyl Soloshchuk, CEO and co-owner at INSART, FinTech & Java engineering company. Vasyl is also author of the WealthTech Club blog, which conducts research into Fortune and Startup Robo-advisor and Wealth Management companies in terms of the technology ecosystem.